Use Corporate Code "EBA" for Online Reservations or ask for the "Bear Albany Discount" by phone. 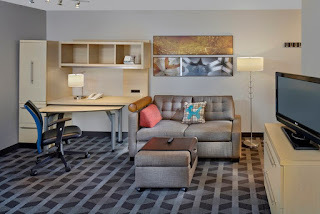 Suites feature fresh décor in a separate sleeping area. 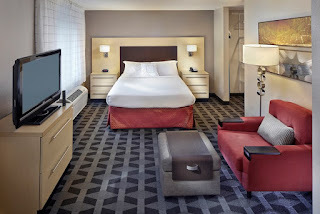 The Bear Albany host hotel is The Marriott TownePlace Suites at 22 Holland Avenue. 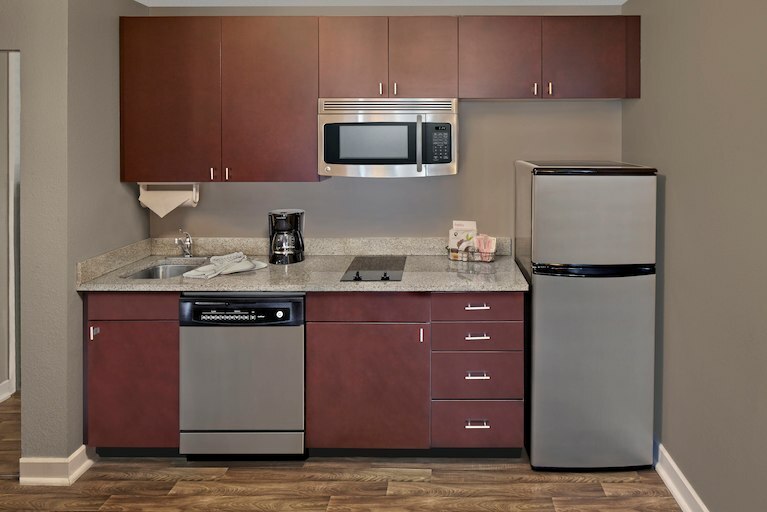 They offer spacious rooms from 420 to 700 square feet that include full kitchens with a range, microwave, dishwasher, refrigerator, and utensils. 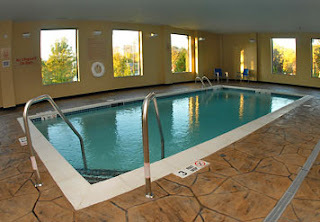 You'll have full access to their complimentary high speed Internet, a 32-inch flat screen TV, indoor pool, whirl pool, and an exercise room. 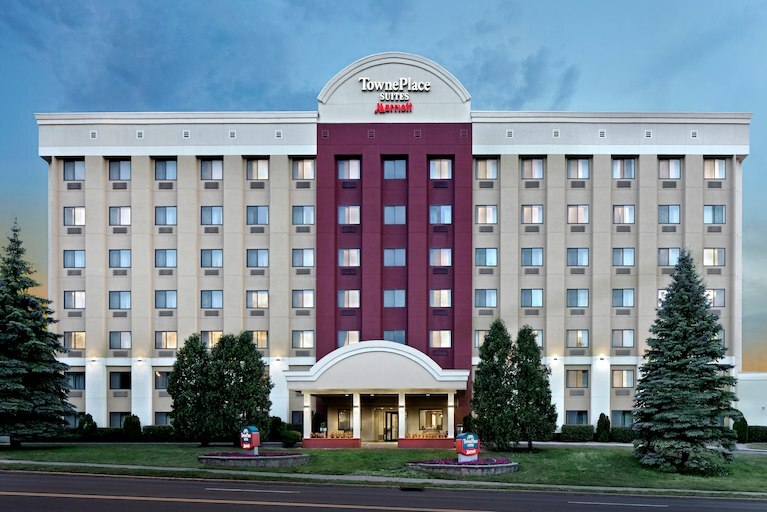 The Marriott TownePlace Suites also includes complimentary on-site parking. Check out map of Bear Albany Favorites for places to visit when in town. Enjoy the heated indoor pool. Suites feature a separate living area with a Home Office. Please be sure to mention you're part of the “BearAlbany group” to get the discounted rate and book early as the discounted rooms almost always sell out. The Marriott TownePlace Suites is a modern high-rise with views of the Albany skyline. They are conveniently located in the center of Albany near the EGG, Albany Medical Center, St. Peter's Hospital, VA Medical Center, Times Union Center and Palace Theater. 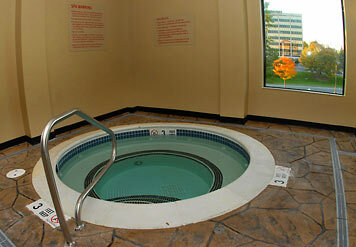 They have a warm and professional staff that is available 24/7, and will make you feel right at home. You'll receive complimentary deluxe continental breakfast, free parking, 24-hour fitness room on site, indoor heated pool, and whirlpool. For directions, please visit the the hotel's map page. 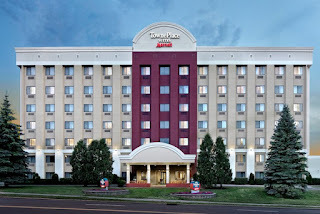 The street address of The Marriott TownePlace Suites is 22 Holland Avenue Albany, New York 12209.